Will A Low Carb Diet Stop Your Hair Loss? In 2012, I did a four-month test to see if a ketogenic / low-carbohydrate diet would stop my hair loss. Low-Carbohydrate Diets: The Latest Trend Or A Fitness Holy Grail? When I first heard about a low carbohydrate diet, I thought I was talking to a crazy person. It was 2012, and I was standing across from a Cross-Fitter. He rambled on about how (in two months) his new low-carb diet miraculously cleared up his acne, helped him shed 10 pounds, and even improved his mental acuity. I walked home thinking he was brainwashed. But I soon read hundreds of online testimonials from low-carbohydrate dieters. They all shared this Cross-Fitters’ anecdotes: rapid weight loss, clearer skin, better energy. …are associated with marked neurological improvements in epilepsy, dementia, and Alzheimer sufferers. …may delay or even suppress tumor growth in cancer patients. 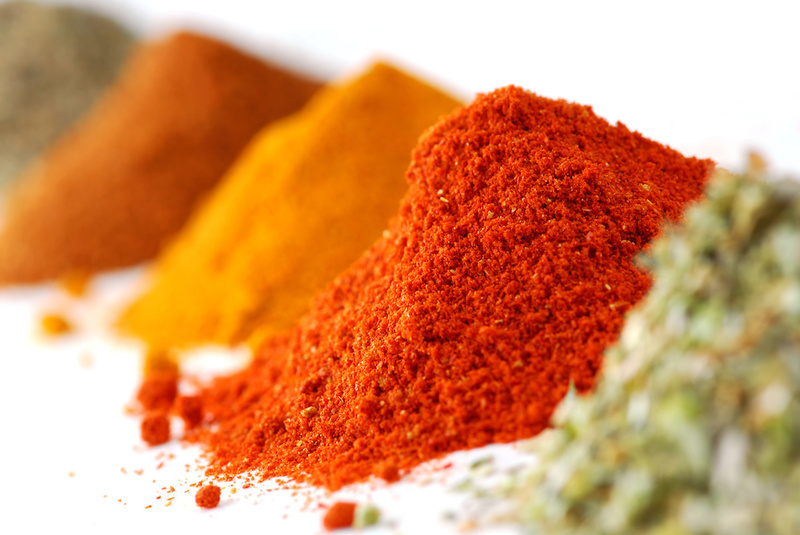 …could help prevent coronary heart disease – even more so than low-fat diets. That last point got me wondering… Given heart disease’s correlation with pattern hair loss, and given that I’d yet to find a solution to my hair thinning, then maybe a low-carbohydrate diet might help me stop or reverse my hair loss. The only way to know? To test and find out. My results were not what I expected. Want 5 critical nutrients for hair growth? Enter your email. I'll send you a FREE guide on the nutrients for hair maintenance... No drugs. No supplements. No strings attached. In short: any diet which helps prevent heart disease might also help support hair health. Men with heart disease tend to also have pattern hair loss. And recent research suggests that baldness might even be an indicator of impending heart disease. The question is… Why? Well, both heart disease and hair loss have a common mechanism of action: arterial calcification. The net: if we want to avoid heart disease and pattern baldness, we should probably do everything we can to prevent arterial calcification. So where does a low-carbohydrate diet come into play? Interestingly, low-carbohydrate dieters may be significantly more protected against heart disease and atherosclerosis than low-fat dieters. The mechanisms why are less clear, but research suggests the protection may come from decreased blood pressure, improvements to cholesterol particle size, and a decrease in serum c-reactive protein (a benchmark for cardiovascular disease). And perhaps the biggest “benefit” touted by low-carb advocates is something known as ketosis. Ketosis: A Tool For Weight Loss, Reversing Arterial Plaque, And Maybe Hair Loss? A ketogenic diet is a diet that forces our bodies into a metabolic state called ketosis. This is when we begin burning fat for fuel instead of carbohydrates. Typically, carbohydrates are our bodies’ go-to source for energy. Once ingested, carbohydrates are stored as glycogen. When we need energy, our cells break down that glycogen into glucose (a simple sugar), which then gets broken down inside our cells to provide us with the energy we need to keep moving. So what happens when we run out of carbohydrates? What do our bodies turn to for energy? Something called ketone bodies. And that’s where ketosis comes into play. Ketosis is a secondary metabolic state in which our bodies convert fat molecules into ketones which are then utilized for energy. The easiest way to put yourself into ketosis? Take away your access to glucose. Or in other words, restrict your carbohydrate intake. So back to hair loss… Can ketosis help? Ketosis May Reverse Arterial Plaque Build-Up… But Will It Translate To Hair Growth? Case studies show that a ketogenic diet may reverse arterial plaque build-up. In other words, ketogenic diets might improve arterial blood flow and clear the way for more oxygen to reach dying hair follicles. I was in! The heart health-ketosis connection was enough to convince me to try a low-carbohydrate diet. After all, my hair loss wasn’t slowing down. What’s the worst that could happen? Going Low-Carb To Stop Hair Loss… But What Is A Low Carbohydrate Diet, Exactly? Restricting your daily carbohydrate intake. Beyond that, things get complicated. If you’re restricting carbohydrates, do you replace those missing carbohydrates with other macronutrients – like protein and fat? Or do you also restrict total calories? Is a low-carbohydrate diet also a paleo diet? Some researchers say that low-carb diets are also calorie restrictive – meaning you should be in a daily calorie deficit (eating fewer calories than you burn). Others say you should replace those carbohydrates with fat and protein so that you don’t enter a calorie deficit. Moreover, opinions differ on where a “moderate-carbohydrate” diet stops and a “low-carb” diet begins. And what about this whole paleo-low-carbohydrate diet thing? A paleo diet naturally restricts carbohydrate consumption by eliminating grains and refined sugars. But not all paleo diets are low-carb. For instance, a paleo protocol can technically include a pound of potatoes or a dozen fruits daily – both of which will net you 300-500 grams of carbohydrates and keep you out of the “low” range. Conversely, a low-carb diet can also not be paleo. It’s possible to limit carbohydrates but still eat grains occasionally. These definitions all depend on your set restrictions within a low-carb diet. The bottom line? Everyone interprets “low carb” differently. So when you’re talking about “low carb” – you have to get more specific. There’s no clear consensus on which low-carb protocol is best for your heart or hair. So I made my own plan. With all the ketogenic diet recipes floating around, this diet was easy to implement. It was a bit expensive (I was spending an extra $100 per week on meats, seafoods, and vegetables), but it was a price I was happy to pay to hopefully halt my hair loss. To ensure I maintained my calorie count, I ran my meals through FitDay.com. I did this just for my first week of low-carb dieting – to get an idea of how much food I needed to stay at 2,500-3,000 daily calories. Proper thyroid function is critical to hormonal balance and hair health. Unfortunately, thyroid function is also largely dependent on diet. The wrong diet can inhibit thyroid function, exacerbate hormonal imbalances, and even accelerate hair loss. This time around, I decided to measure thyroid function regularly to avoid another hypothyroid fiasco. You don’t have to get a weekly blood panel to track your thyroid health. All you have to do is by an oral thermometer and learn how to count your resting heart rate. Before thyroid blood panels were widely adopted, doctors used body temperature and resting heart rate to assess thyroid function. So according to these metrics, what qualifies someone as having “normal” thyroid function? If your pulse and temperature are consistently lower, you might be hypothyroid (a low functioning thyroid). If they’re consistently higher, you might be hyperthyroid (an overactive thyroid). Unfortunately, there’s no simple way to gauge your rate of hair fall. While research centers have hair-counting tools and 100x-zoom microscope lenses, I had neither. So I did what I could: I eye-balled it. I know that part isn’t very scientific. But at this point, I’d become so hyper-aware of the rate of my hair shedding – how much typically fell out while taking a shower, how many strands I’d see on my pillowcase each morning, the number of hairs falling onto my desk throughout the day – that I felt okay with my measurement choice. Any significant changes – good or bad – I was sure I’d notice. I was working out five days per week (weight circuits, jogging, etc.). And yes… My oral temperature and pulse rate were already low. That’s correct. Even before starting the diet, I was already symptomatic of hypothyroidism. I was actually hoping that my low-carb experiment would change that. So let’s get onto the actual experiment. After a few trips to the grocery store and a whole new set of new meal plans, I was ready to begin. My Low-Carb Experiment: Would It Reverse My Hair Loss? My energy levels increased. My workouts “felt” better. Someone commented that my eyes looked whiter. No reduction in the rate of my hair fall, but it was way too early to see a change anyway. No changes in pulse rate or oral temperature. The transition into ketosis began. It wasn’t easy. I felt lethargic. My morning weigh-ins went from 195 pounds to 191 pounds. I figured it was water weight (more on this later). No change in hair fall – but still too early to tell. My skin cleared up enormously. I always had a little acne. For the first time since high school, I stopped getting new blemishes. However, I was still feeling tired. I starting having trouble focusing at work. I decided to reduce my workouts from five to three times per week. My morning weight dropped to 188 pounds. This concerned me – until I remembered all the anecdotes about rapid weight loss. I guess it was a part of getting used to ketosis and fat-burning. My hands felt consistently colder. Still no change in the rate of my hair fall – but again, a month-long diet trial is nothing. My skin became incredibly clear. No signs of acne, and no signs of scarring from my recently faded blemishes. But now I was freezing. All the time. Three coworkers commented on how frigid my hands were after a handshake. They also asked if I was feeling alright. My weight dropped to 184 pounds. When would the ketosis-driven weight loss stop? I could no longer do my circuit workouts with 25-pound dumbbells, so I started decreasing the weight to 17.5- to 20-pound dumbbells. Oral temperature: 96.5 degrees fahrenheit. I didn’t understand why my body temperature was dropping so much. While I had many signs of hypothyroidism, I wasn’t shedding any more hair. This made me believe something else was going on. After some research I came across the term “keto flu“. It turns out many low-carbers also experience my symptoms during their transition to ketosis. This eased my concerns – especially since all the anecdotes suggested I would “breakthrough” this plateau in a week or two. I decided to keep pushing. My energy levels started to pick back up! This was exciting. And my skin stayed crystal clear – though I started producing a lot more sebum, which made my hair and face oilier. I still had cold hands and feet – but I’d sort of gotten used to it. Maybe that Cross-Fitter was onto something! My weight seemed to stabilize at 183 pounds (twelve pounds lighter than when I started). Maybe the ketosis-driven weight loss phase was finally winding down? Keep in mind: my goal was not weight loss. My goal was to stop my hair loss. Unfortunately, I started noticing more hair on my pillow case and in the shower drain. Temperature: 96.9 degrees fahrenheit. A notable increase from the previous week. My energy levels decreased to a new low. I dropped to 180 pounds – fifteen pounds lighter than 2-3 months ago. I decided to stop working out. I was too exhausted to walk to the gym – let alone exercise. For no good reason, I also stopped measuring my pulse and temperature. For this thirty-day window, I tracked my resting pulse and oral temperature just once… toward the very end. What I did keep an eye on: the rate of my hair fall. My hair shedding was getting worse. Hair fall increased in the shower, at my work desk, and on my pillow. What’s worse, my hair was beginning to look visibly thinner. Was this whole low-carb thing working for me? While at work, I got hit with a massive headache and decided to leave early. One-hundred steps out the door I started shivering. I couldn’t make the one-mile walk home, so I hailed a taxi, walked inside, turned on all the heaters to my apartment, and decided to take my oral temperature. It was 104 degrees fahrenheit. I’d caught the flu for the first time in seven years. I went to bed, slept for 18-hours straight, and woke up at 178 pounds. Enough was enough. That was my last day trying low-carb / ketosis. The moment I recovered from the flu, I ordered (and then inhaled) a full pizza. Low Carb Dieting Increased My Hair Loss. So What Went Wrong? During my low-card experiment, my resting pulse rate dropped, my body temperature plummeted, I accidentally lost 17 pounds, and my hair shedding significantly increased. Reviewing my results, it’s easy to write-off a low-carb / ketogenic diet and say, “Ketogenic diets do not help with hair loss.” But it’s actually not that simple. In fact, while going low-carb I made a huge mistake. Maybe the stupidest mistake in all my years of diet tracking. Do you know what it is? Look at my before-after metrics. See if you can figure it out. Remember, I planned my low-carb protocol to be 1) paleo, 2) ketogenic, and 3) NOT calorie restrictive. I lost 17 pounds in less than four months. Do you think that’s normal? Especially for someone who didn’t want to lose weight? No, not at all. When I began reviewing my data, I realized I’d probably just spent four months in a calorie deficit. I was consuming ~1,900 calories daily. I under-ate by 600-1,000 calories every single day. How is that possible? I remember tracking my food intake over the first week. I was meeting my caloric demands. Could I have unknowingly and drastically changed my food intake just a few weeks later? Apparently so. I was so focused on tracking my thyroid that I didn’t to track my calories. I beat myself up over this for a long time. I was angry for botching my own experiment and worsening my health and hair along the way. How could I have been so stupid? Most low-carb dieters make the same mistake. The Low-Carb Myth: Is The Weight Loss Caused By Ketosis… Or A Calorie Deficit? When transitioning into ketosis, it’s normal to lose some water weight – maybe a few pounds. Why? Because glycogen (the molecule used by our bodies to store carbohydrates) is also stored alongside water. Typically one gram of glycogen is stored with three grams of water. When we restrict carbohydrate intake, our bodies tap into their glycogen stores to break down glycogen into glucose for energy. A byproduct of this process? A release of all that water. The net: if you keep calorie count the same, you should only lose a few pounds while transitioning into ketosis (depending on your glycogen stores). Unfortunately, ketogenic diets may also lead to appetite suppression. You might feel just as satiated from an 800-calorie meal as you once felt from a 1,000-calorie meal. This makes you far more likely to start under-eating. The end-result? Rapid weight loss… starting with water weight and ending with a calorie deficit. Hence the reason why so many low-carbers shed so many pounds effortlessly. This concept became cemented in 2016 when researchers controlled for calorie intake and tested if a low-carb or a low-fat diet would result in more weight loss. The results? The same amount of weight loss for both groups. In other words, low-carbers are shedding pounds because of a calorie deficit, not because of the “magic” of ketosis. Under-eating is commonly associated with the term “crash diet” – a quick and effective weight loss approach. Unfortunately, crash dieting can also lead to malnourishment. And there are two reasons why a ketogenic + calorie restrictive diet are particularly detrimental to our hair. Studies show that calorie restrictive diets inhibit thyroid function… with the biggest decreases to thyroid function coming from calorie restrictive diets that are also ketogenic. Your endocrine system, but specifically your thyroid, is your body’s center for hormone regulation. If we have an underperforming thyroid, we’re more susceptible to hormonal imbalance, autoimmunity, depression, and a host of other chronic conditions. And if we develop a long-standing hormonal imbalance, we’re far more likely to develop heart disease, atherosclerosis, and arterial calcification… The same calcification implicated in hair loss. Low-calorie diets increase cortisol production – an antagonist to testosterone. (Note: for more information, read this). Unfortunately, increased cortisol secretion combined with the malnourishment from calorie restriction can result in an aggressive hair loss condition known as telogen effluvium. Telogen effluvium is rapid onset hair thinning. Some cases of telogen effluvium are temporary; others persist indefinitely. Telogen effluvium is also hard to diagnose since it manifests in so many patterns – patchy thinning, evenly-spaced thinning, or sometimes just accelerated hairline / vertex recession. What’s more important is what triggers telogen effluvium. And it seems one the best ways to prevent it is to 1) avoid stress, and 2) avoid a major calorie deficit. If you’re not careful while going low-carb, you’ll walk straight into both of those problems. Do I think all ketogenic diets cause hair loss? No. If you’re careful enough to stay out of a calorie deficit, I think you’re far less likely to increase hair shedding or develop telogen effluvium. With that said, I still haven’t seen many anecdotes (or evidence) of a ketogenic diet halting anyone’s hair loss. That second sentence may be true. However, the idea that paleolithic people lived in ketosis is nothing more than an internet rumor. Several studies suggest that carbohydrates totaled 30-40% of paleolithic peoples’ daily caloric intake. And for those consuming fewer than 20% of total calories from carbohydrates, it was because they lived furthest from the equator – where fewer fruits grew. And guess what? That 20% carbohydrate threshold is still two-fold higher than what many “ketogenic paleo dieters” aim for today (around 10% of total calories). Ben Greenfield – a professional endurance athlete, health researcher, and ketogenic advocate – once implied that for certain people, ketosis even without a calorie deficit may exacerbate hypothyroidism. In these cases, it might be necessary to either 1) change your diet, or 2) supplement with some form of thyroid. This shouldn’t be surprising. Thyroid was taken out of the US food chain decades ago. Our only access to thyroid today is in the form of prescription pills. Evidence suggests that hunter-gatherers ate nose-to-tail – including animals’ thyroid glands. Thyroid supplementation has been shown to improve thyroid function, so it’s possible that occasional thyroid consumption might’ve protected paleolithic people from the same thyroid woes some ketogenic dieters suffer today. If you abide by a paleolithic diet, want to stay in ketosis, and are worried about declining thyroid function – a thyroid supplement might help. I have no recommendations on which thyroid supplements are best. While experimenting with a low-carb / ketogenic diet, I experienced poorer thyroid function, rapid weight loss, and increased hair shedding. My experience wasn’t unique – many ketogenic dieters report these same symptoms. While ketogenic diets alone don’t directly trigger hair loss, ketogenic diets suppress appetite and make dieters more prone to under-eating. The combination of ketogenic + calorie restriction has been linked to poorer thyroid function, telogen effluvium, and increased hair shedding. My biggest piece of advice for those in ketosis: avoid a calorie deficit. And if you’re ketogenic, eating enough calories, but still struggling with hypothyroidism – either change your diet or try a thyroid supplement. 1.> Due to a well known bohr effect , high cellular Co2 would lead to better O2 grabbing by cells or better oxygenation. 2.> This one is a hypothesis but decent cellular CO2 concentration would take out calcium from the cells most likely in the form of CaCO3 which might help in reversing calcification,after all, calcium should be extracellular not intracellular. Are you aware of such a process ? Danny says that T3 hormones also helps in maintaining proper CO2 levels. Besides what are your thoughts on adrenal hyperactivity and liver health (low SHBG) in MPB ? Here Serum T were normal but serum DHEA-S was through the charts for MPB dudes. Hey Dante – great points, and two great questions. I’m aware of the relationship between CO2 and calcium, but I haven’t done enough research to comment further. I have my doubts that CO2 alone will remove enough calcification / arterial plaque to restore blood flow to capillaries. With that said, there have been several reports of men spending multiple hours/week in high-oxygen tents and subsequently recovering significant amounts of hair. At one point, I almost ordered one of those tents from Amazon! The reason I didn’t was due to a lack of clarity on the research surrounding free radicals, oxygenation, and if high-oxygen concentrations might regrow hair while at the same time accelerating aging. Adrenal hyperactivity is fascinating. I also appreciate you sharing that study. I’m looking into it more and will write an article in the next four months summarizing the research. If you have anything else to share related to liver-adrenals-hair, please feel free to pass it along! Thanks again Dante. This is an study on indian men but patients have 3 times less SHBG than in controls . If i remember correctly, globulin and albumin are made primarily in the liver. Besides , DHT or 5-AR may be bad for hair i am not sure if it’s bad for the brain. From what i know, it’s a potent neurosteroid,anti-anxiety ,calming and very mood promoting. From anecdotal reports, i know people who took very small amount of DHT (~2 mg) lack their desire to watch p**n and go out socialize,conquer the world etc. This is interesting. It explains why I am shedding more hair on a low-carb diet. Not because of the diet itself, but because I am severely calorie-deficient. In fact I mostly eat just one time a day, around 3-4:00 PM and that’s it. I often skip both breakfast and dinner. Just to make an example, today I only ate some broccoli and drank some orange juice, at around 4:00 PM (I am writing from Italy so that was 8 hours ago). That’s all. And this is how I go through the days, I just swap the foods from day to day, but the routine is the same. how many calories do you think am I taking per day? – Are you kidding? There are many calculators in net. You can all your products scale and count. If you want use any food calculator. When you want to know how many calories should you intake is needed to know your height weight and activity per dey. I can have big surpluss on 5000 cal and bid deficiency on 5000 cal. All depends on my activity. I on low carb about 150g carb per day drink a lot of linssed oil , eat sunflower, eat butter and fat meat and this way I can achieve 3000cal per day. But I train on gym and this is my calories deficit. Calories deficit isn’t good for hair regrowth BUT if you are FAT you have worse response on Insulin. This issue reverse when you are skinny. So be better be skinny. Calories surplus and defficiency is on low carb diets very weak to achieve. Basic is knowledge of food. For example . It is much easier eat 100 g clarified butter and have 900 calories than eat 2,5 pack of rice . Sources of fat could also drink. Most people know that when you are on ketogenic diet you should eat vegetables, eat fat meat but don’t know that main source of your calories is fat like oil, butter , coconut oil which you can drink! This give you a lot of calories. Eating vegetables and meat never give you much calories. People who have problems with calories. Start drinking your calories! Most people who don’t train need about 2500-3000 calorie to maintain weight. For me from calculator: 187cm and 90kg , 2000 calorie is just for maintain life processes. Yes, I am definitely calorie-deficient. My problem here is that I don’t feel the need to eat anymore… I mean, I can get through 4 days straight without eating anything and still be fine. I have something similar. I don’t like eat but there are much delicious recipies in net you can use. For me food don’t need to be tasty so when I need 1000 calories, I take 110g clarified butter( very health) very small amount of volume but huge of calories. Dont’ t you like scrambled eggs with bacon and for example onion or tomatoes? This also is a big calories meal. I give you tips for big amount of calories shake or smoothie . You can buy protein shake in bodybuilder store , put this powder into blender , pour some water, add fruits( maybe strawberry) , spoon of honey for example and 100g of sunflower. Such a shake without problem can have over 1000calories. Based on your comment, it sounds like you’re calorie deficient. Are you trying to lose weight? 1) Stressful lifestyle (professional demands, lack of sleep, etc.). These are the three biggest commonalities among the men I’ve worked with who suffer from TE. It’s no surprise these all increase cortisol. While it takes a lot of work to identify each persons’ individual triggers, reversals are possible. The book’s recommendations should help TE sufferers, but not in the ways you might expect. TE’s etiology is slightly different (and even more mysterious) that male pattern baldness (MPB). The mechanical stimulation exercises inside the book are targeted for those with MPB. While these exercises are still likely helpful for TE sufferers, they’re probably less of a driving force for telogen effluvium hair recovery than the book’s diet or lifestyle recommendations – which likely fall closer to TE’s triggers. Ive recently been reading quite a bit on TE, and the causes of it. Some people recover fully from TE within 6 months or even 2 years. One recovery remarks on eating more eggs and nutritional food . And eliminating stress completly. They say stress is the cause of hair ( old wives tale) . And that stress effects people in different ways. Could it be that MPB and TE sufferes are effected by stress in different ways which trigger hormone imbalance. I mean not everyone with stress sufferes hair loss. They are effected in other ways. Apart from stress physical calcification and scalp environment , devoid of stress are the triggers. As people with heart conditions, again, not all suffer from hair loss. And physical environement seems the biggest culprit. So anyone who sufferes from TE and follows the book. mechanical stimulation and diet, lifestyle. Will solve their TE aswell as prevent any MPB occurance in the future ? PS. A recent scientific study shows using Cold water on wounds or muslces injuries has more positive healing effect(along with massage) on the injury than any other therapy. Making healing quicker and effective. The mechanism of cold water removes old blood and sends new healthy blood to these regions. Could cold water showers on the scalp have an astounding effect in sending new fresh blood ? and decreasing inflammation. Hey Praz – I tend to agree. Anything that chronically elevates cortisol (for instance, stress) can increase hair shedding. And that increase in cortisol can manifest into heart disease, a compromised microbiome, autoimmunity, hair loss, and thousands of other conditions depending on the individual. Just as you mention, everyone’s body processes stress in different ways. For TE sufferers – I think that because there’s evidence to suggest that stress is one of (if not the) major triggers, then resolving diet + lifestyle become that much more important. It’s my belief that for TE sufferers, diet and lifestyle come first, then the mechanical stimulation exercises. I’ve seen some remarkable recoveries from TE, and if you’re dealing with TE + male pattern baldness, the combined approach could be very helpful. Could you link everyone to the cold water study? I’d love to see it. I’m a huge fan of cold showers and starting in the spring I try to commit to cold water swims (in the ocean) once a week. Rob, thanks for another detailed and informative post. Lots of food for thought! Thank you Sierra. And your coffee article is still in the works! It turned out to be a much harder question to answer than I anticipated. I’m now in the personal testing component – ~40 days without caffeine so far to measure any effects. Hats off! Forty days without caffeine, i’do shoot myself! I’ve got a question for you. In your article “The Ultimate Hair Loss Flowchart” you say that imbalanced calcification regulators can combine with androgen receptors and DHT, leading to hair loss. Is the imbalance related to diet? If so, why does it happen on our head and not on other parts of the body? Have you scheduled an article about how a paleo or moderate paleo diet may help with hair loss conditions? Hey Jolly – another great question, and unfortunately, it outreaches the boundaries of any published study. The connection between diet and increased tissue DHT + androgen receptors is clear. The “imbalanced calcification” component is a bit more fringe, and it’s where the flowchart takes a best-guess – based on what we know. DHT and androgen receptor activity drive bone growth and muscular development, which still implicates diet as a factor. 2) Baldness as a “protective” mechanism. The tops of our scalps are relatively unused and far away from our hearts. Studies suggest that baldness may even be a precursor to heart disease. If true, it’s possible that our bodies may choose to store calcification first in places that don’t affect major arteries (the scalp sutures and vessels), then later in areas that are more important (like the capillaries and arteries in other extremities and closer to the heart). I think the first idea has more merit. This is something I’ve been wanting to answer for a long time, and unfortunately I don’t know of any research papers soon-to-be-published that are going to give us the answers. When I have something for you, I’ll let you know. It’s certainly a great idea, but as of right now I don’t plan on writing that article. The reason why is because that topic is a substantial chapter inside the book, and I don’t want to publish so much book-related content online to the point where anyone who’s decided to purchase the book and support the site now feels undermined by the amount of free information available. I plan on writing more diet articles – just need to track down some more old journals of my markers. Hi rob just a quick of topic question but do you know if having scalp psoriasis will halt any hair regrowth? A high degree of psoriasis can contribute to hair shedding, but I don’t think psoriasis drives the pattern of hair loss or results in permanent hair loss. Just like most fungal infections, hair loss from psoriasis should be temporary. It’s possible that it could get in the way of regrowth, so if you can take steps to resolve it, that should help with recovery. well thats a relief to know, thanks. i just wanted to say though i do believe that your method is working, i am seeing very thin and small hairs starting to show at the hairline. i cant really tell if they have always been there as my hairline has always had these little hairs there but now it seems like there is more than usual. That’s great! I look forward to your progress over the coming year. Please let me know if anything comes up. Tooshy – I’m not sure I follow. Firstly, I confirm that link is from one of my readers. I also confirm I have permission to use his photos. In fact, I even interviewed this reader in The Standard Package (on video, for over an hour). Secondly, I don’t see any misleading information or lack of clarity. I advocate for natural hair regrowth methods – no shampoos, surgeries, supplements, or drugs. Dermarolling and massaging fit within these restrictions. Nowhere on my site do I claim any photos are achieved without a dermaroller, or with massaging-only (though 90% of readers achieve regrowth with massage + diet/lifestyle changes and this particular reader is the exception). In fact, I disclose many of my readers’ exact regrowth protocols inside the book – and even walk through our troubleshooting steps and progress photos. For this specific reader, I cover his entire regimen, step-by-step, month-by-month, in the video interview – including our correspondence throughout the year-long period. Furthermore, I’m under no obligation to disclose publicly each reader’s exact regrowth methods. That information is reserved for readers who financially support the site via book purchases. As long as a reader’s methods fit within the natural claims of my site, and I have permission to use their photos, there’s nothing misleading or unclear about me posting their photos. 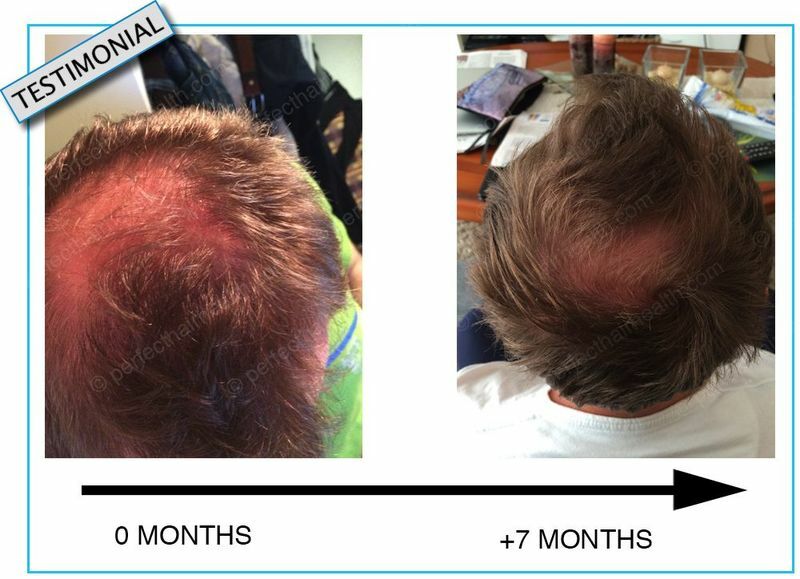 Now if I were to post regrowth photos of someone who used Finasteride and had a hair transplant, then claim them as my own… THAT would be misleading, deceptive, and illegal. I don’t do that. I only post photos of readers with whom I’ve worked and/or helped, and who’ve abided by the site’s interpretation of natural regrowth. Rob thanks for replying! Really appreciated! I am one the the supporter that bought your book. Now 5 months in, apart from some new hair back on my crown I am still worried if the method really works (for me). I will keep you updated and in case of effective results I would be happy to send to you photos to support the work. Thanks Tooshy for your comment and for your support! If you get stuck, please email me any time – I’m happy to help. My dad does water fasting which lasts a couple weeks once or twice a year to detoxify his body. Speaking of calorie deficiency, he doesn’t lose hair in this process even though sheds so much weight abruptly. I know you emphasized that it requires more than one month to determine the efficiency of a diet and this is not a diet. However I can’t help but think, if calorie deficiency is the main culprit my dad should have lost a significant amount of hair living on zero calories for 3 weeks. >It may sound stupid but what if this diet inducing high cholesterol and the lack of dietary fiber intake from complex carbohydrates that sweeps the excess cholesterol from the body is the culprit, not the calorie deficiency? What if high cholesterol causes thyroid disorders and leads to shivering and hair shedding? Because a few days ago for the first time in my life I had my thyroid level checked via blood test. My free T4 appears to be low. Then I read your article and realized that my diet is a bit like paleo(well, sort of). Fruits (kiwi, pineapple, dried oleaster) and pistachio nuts as snacks. I strictly avoid refined carbs and sugars. The outcome: I lack energy and suffer hair shedding and occasional acne cysts on my face and body and unsurprisingly I have thyroid hormone imbalance. Next Monday I will have a complete blood test, cholesterol and hormone test. And I suspect my cholesterol is high. If so I will cut a bit down on animal fat and protein and consume more beans and vegetables. Hey Safiye – I’ll look into the relationships between fiber, cholesterol, and the thyroid and get back to you when I have more information. But in general, I think a once-yearly three-week fast isn’t enough to evoke the shedding associated with longer term calorie deficits. We’ve seen in the literature, time and time again, that forced calorie deficits during times of war or famine lead to brittler hair, thinner hair, and poorer health for the affected communities. But typically these effects begin later – not a month or so in. I’ve also read about people restoring thyroid function just by water fasting for a couple of weeks. I think this has to do with allowing the gut to heal (no food passing through) and a lacking exposure to allergies (no dietary allergies during this time period). So maybe that’s why your father sees such significant benefits. He could be fasting for just the right amount of time to see no hair shedding, but also experience all the incredible health benefits of the fasting process. I think it’s worth pointing out some of the confusion that’s been brought about by assuming that studies of severe calorie restriction are directly applicable to fasting. Eating has a number of side effects beyond simply taking in calories and nutrients: a whole cascade of hormonal effects, circadian clocks, protein synthesis, signals for cellular breakdown and repair (or inhibition thereof), and more. Abstaining from food of course has its own set of effects, including, eventually, ketosis, elevated levels of growth hormone to preserve muscle tissue, reduced hunger (usually within 48 hours), and more. Eating a starvation diet can inhibit the transition to ketosis, increase hunger, and increase muscle loss if protein intake is inadequate. Don’t even start talking about exercise, or things get significantly more complicated. All that to say: mainstream medical practice seems to be along these lines: “Oh look, this study shows that severely restricted diets are really harmful. Therefore everybody should eat often and avoid fasting.” Such reasoning is fallacious, but as you’ve pointed out, research tends to be isolated in a narrow field of study, and integrating ideas from different fields is a longstanding challenge we haven’t figured out yet. Also, medical practice is based as much on tradition as anything resembling science, so once doctors got it in their heads that fasting was bad, they lost interest in even questioning whether they had studied it properly in the first place. God i feel your pain, i have suffered the exact same thing except i lost close to 30 pounds, but in those pounds a good 15 was muscles. Some people swear by keto its the new trend right now, i did keto for 3 months 20g net carbs per day and i got the exact same effect as you. I stop training i did not recuperate after my workout i used to train 5 6 times per week weight training, no more pumps, weak muscles. And yes major hair thinning. You can search some studies that show low carb and keto are really bad for the thyroid, i was on a low carb forum at the time and when my thyroid became really slow they told me to eat carbs… go figure. Also low carb diet will also lower testosterone the male hormone. Ashwaganda is an amazing supplement you can get it on vitacost or amazon for cheap its good to control cortisol and thyroid too there are plenty of studies on this at pubmed. Low carb does work but i feel that most people should up the carb to at least 100g a day of good carbs i am trying this with intermittent fasting now, carbs are not bad process carbs are. If you eat good veggies, potatoes, brown rice, fruits those are all good things for hair. I never want to feel like i did when i was on low carb that feeling was awful dizzy low energy all the time not for me no way. Thanks for sharing your experience — I can relate! For some people, ketosis is an effective weight loss tool. It’s even effective against staving off certain cancers. But when it comes to halting or reversing hair loss, the evidence suggests that a ketogenic diet has serious limitations. The biggest problem for me: just how easy it is to under-eat while in ketosis. Studies show – just like we experienced – that ketosis + a calorie deficit is a recipe for disaster for thyroid functionality. I’m happy to be back to a moderate carbohydrate paleo-based diet! Hi. Thanks so much for the info. Been on low carb/keto since May. Now in the last few weeks major hair loss. I’m 5’4, 136 lbs, 60 yr old female. Can you give recommendations on how many calories, carbs, fat and protein I should be eating? I am doing well with only a few more pounds to lose but definitely need to make adjustments for hair loss. Thank you. Thanks for reading Joy. It’s hard for me to give hard-lined recommendations without more information about your physical activity level, typical calories consumed while outside of ketosis, etc. The hair loss you’re experiencing is most likely the result of a calorie deficit, which when coupled with a ketogenic diet, can exacerbate hypothyroidism and lead to the typical thinning pattern we see in women. I’d suggest increasing your calorie intake first while trying to stay in ketosis. And if that doesn’t improve your hair loss symptoms, then I’d suggest maybe trying a non-ketogenic diet — or a diet that only puts you in ketosis for short periods of time (for instance, once weekly intermittent fasting). Hey Will — I think a great first step is to start increasing calories. That doesn’t mean you have to exit ketosis, but you it should mean increasing your fats / proteins / carbs so that you’re not in a daily calorie deficit. Try this for a couple of weeks, and if hair shedding persists at the same rate, then I’d recommend experimenting with other diets and seeing if that helps to stabilize or improve the symptom. Great information that I may relate to, I have never actually figured out what my hair loss trigger was and it seems like there are plenty. However when reading this I remembered that my hairloss began when I started dieting, I was a bit over weight and decided to drop down I was 80kg and dropped to 72 in about 2-3 months. I believe my hairloss journey began at that time, I was on low carb and low calories as well. I kept my weight afterwards and got all into fitness and realised my previous diet wasent a good idea for overall health. One year later and I got a round spot full of thin hair at the crown. When I went to the doctor he said my testosterone levels were very high and this could be the cause (he thought I was on steroids at some point lol)… all my uncles are bald from my mums side however my dad has a full head of hair. At that time I knew nothing about hairloss and what caused it except that testosterone triggered my male pattern baldness. Now reading this 2 years into my hairloss and now I feel like it’s all due to my wrong decision of diet that caused a hormonal imbalance. I’m not 100% sure about this but it kind of adds up. What are your thought on this? And if my hormones are balanced again will I be able to regrow my hair? I’ve been working on diet lately having healthy fats and doing head massages and getting all vital nutrients everyday and I’m currently on a regular carb diet 250-300g. Diet definitely influences hormonal output, and diets that lead to systemic inflammation may also lead to the upregulation of DHT at inflammatory tissue sites and thereby contribute to pattern hair thinning. But in general, I think that diet-driven hair loss from low-carb mostly comes from under-eating calories. This often results in hypothyroid symptoms, excessive shedding, cold extremities, etc. The mechanical stimulation exercises in the book, plus the dietary changes you’ve already made (getting enough calories and carbs) should help turn things around. But if not, let me know and we can continue to troubleshoot until your hair is back to where you want it. Very interesting article and experiment. My only concern is that you combined two similar yet significantly different “diets”. While Paleo and Keto are both low carb, Keto is high fat, moderate protein, and low carb. While they are on your food list, you make no mention of increasing your daily intake of healthy fats (avocado, cream, butter, etc.). Many of the fruits and vegetables on your list are also incredibly high in carbs. At what point did you notice the signs of ketosis (dropping pounds isn’t an indicator)? Did you confirm you were in ketosis with even the less than perfect urine test strips or the better fingersticks? And the keto flu occurs in the first 3-10 days during adaptation, it wouldn’t have struck weeks later unless that is when you finally entered ketosis. I suspect ketosis never actually occurred for you. The initial burst of energy of the excited placebo effect. The steady decline from there was starvation. Your skin cleared up because you dropped processed foods from your diet. The illness you felt later into the experiment was a result of malnutrition, as was your increased symptoms of hypothyroidism. Then when you got the actual flu, your decreased immune system as a result of the above was the culprit. I’d love to continue this conversation as I think there has to be missing information. Hope you’re feeling well now. I’m realizing now — in the article — that I should’ve specified how often I ate fruits high in carbohydrates. I ate fruit very rarely, and often in small portions (for instance, half of a banana after a hard workout). In terms of measuring ketosis — I used sticks once or twice, but mostly could tell through the sustained change in the way my breath smelled. I increased fat intake by the percentages indicated in the article, so was getting much more fat than I otherwise typically consumed during moderate carb paleo or vegetarianism/veganism. With that said, the experiment was certainly far from perfect. The biggest takeaway I learned was that it’s incredibly easy to feel satiated on a ketogenic diet, and that for me personally, it led to consistent under-eating. I suspect it was both a combination of 1) inadvertent calorie reduction, and 2) the presence of this calorie reduction during ketosis — that led to my symptoms. In terms of my skin clearing up — my hypothesis is that it was actually a gut flora die-off of both the good guys and the bad ones causing me inflammatory problems. But I’m happy to be wrong about this. I don’t eat processed foods, but I do notice that whenever I fast, my skin looks great a few days in. Ketosis certainly works great for some people. I plan on trying it again, and also better tracking my calorie intake to prevent the hypothyroid cascade that can happen during ketosis + under-eating. Thank you, Tom! I was waiting for someone to say this! Keto is a fat-based diet and Paleo is not. If the author/experimenter cut out most carbs but was not getting ample daily fats, of course he was going to be low energy, cold, even sick! The fats become the fuel in Keto. Without them your body has no fuel source. Most people do Keto incorrectly and then write it off, saying “it didn’t work”. When you are in full-on therapeutic ketosis with IF however, you feel like a god or goddess, superhuman even. That’s why I seek to coach people on proper Keto as most don’t understand how to get fully fat-adapted and make the switch! Hi ROB! Great website! Love your detailed articles! I know this post is an old one but I hope you get to read this. Are you absolutely sure it was the LOW CARB KETOGENIC that caused the elevated cortisol levels? That much training on low carb is going to cause issues since you are not replacing glycogen but still performing glycolytic work. Or maybe you did eat enough carbs but that much training on a calorie deficit will lead to elevated cortisol – hell that much training even on a calorie surplus is not conducive to hair growth, I think. I see you have mentioned DR DOUG MCGUFF on this site before so I am assuming you do not train that way anymore? What do you think of prolonged 3 – 5 day fasts for hair growth? I have read that a very small amount of leucine can stop autophagy so even when you are on a very low carb ketogenic diet but eating breakfast, lunch and dinner you might not be getting all of the benefits. Do you think autophagy could help reduce calcification and fibrosis? Great questions, and the reality is that much of this is speculation! I think, by far, my biggest issue going low-carb was that I always felt relatively satiated, and as a result, I under-ate constantly. The end-result was 1) a decrease in thyroid functionality and an increase in hair shedding, and 2) the revelation of just how easy this is to do going low-carb. It’s also possible that even outside the calorie deficit — I just wasn’t doing low carb right at all (as some commenters have suggested). But this is the problem with the term ketogenic / low-carb: everyone has a different opinion on how to do it “right” — and as a result, there will always be disagreements. I’ve personally found that intermittent fasting with shorter daily fasting windows (10 hours on, 14 hours off) works well for me, but once I get into the 8 hours eating windows (or 24+ hour fasts), my symptoms of hypothyroidism begin to creep back up. 10 hours seems to be the sweet spot for me, and is something I’ve currently practiced for the past couple of years. In terms of autophagy improving calcification or fibrosis — yes, absolutely. But too little autophagy — or too much — often has conflicting effects and can even cause fibrosis. So there’s a very fine balance here. first to start with I’d like to thank you for your dedicated work. I really appreciate it. So I worked through your diet recommendations in the ebook and really try to follow them. However, I am a fan of oatmeal, quinoa and brown millet. Many people consider them to not contain gluten and additionaly quinoa isn’t even a real grain. I am very curious to hear your opinion about these three foods. Thank you. And to answer your question — it all depends on each individual. In general, as long you’re 1) nutrient replete, 2) not in a chronic calorie deficit, and 3) avoiding most allergens — diets should have very little impact on hair loss or hair growth. The book tries to outline a diet that covers all three bases for you — but the reality is that third point (allergens) changes from person-to-person. You might very well tolerate oatmeal, quinoa, and/or brown millet. The only way to know for sure is through substitution diets and food testing (the latter of which can get expensive — $500+). Hello Rob. Thank you for this great article! Could I please translate it to Czech language and publicise it on web for our Czech LC community? Lot of people , especialy seniors in Czech republic don’t speak English well and translation should be very helpful for them. Thank you for your response. Rob, it was that you were protein deficient – this caused the shedding. Not the caloric deficit.